While I was still a student, political philosophy is what stood out to me the most. Amongst John Stewart Mill, John Locke, Karl Marx, Milton Freidman and so on, Thomas Hobbes’s Leviathan has always stood out to me. This book will dive deep into the nature of man and the creation of a centralized state as a means for stability and control. In a social and political discourse of the 21st century, I recommend this book as a means of understanding past political philosopher and how some of these ideals are still present today. 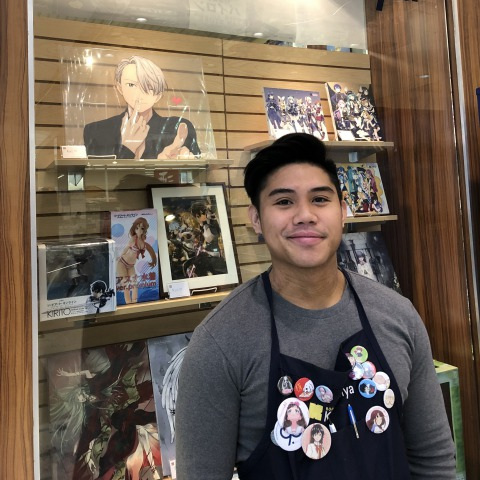 - Recommended by Alex: I have been with Kinokuniya for 2 years so far. I’m the current Buyer and Event Coordinator for the Chicago Store. On my spare time, I like to build Gunpla Models, play video games, work out, ride my motorcycle, laugh at memes and all the other basic millennial things.